Most Likely Scenario: long positions above 1244.00 with targets @ 1259.50 & 1265.00 in extension. 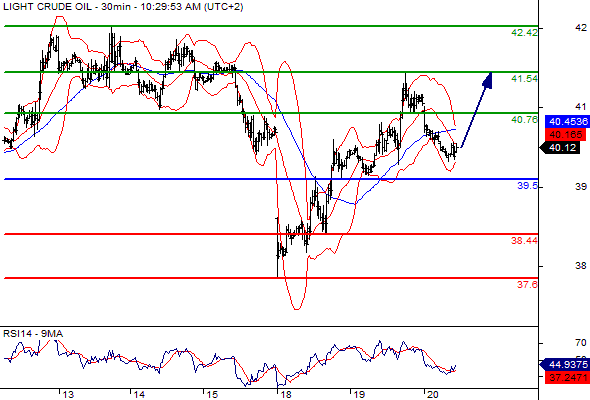 Alternative scenario: below 1244.00 look for further downside with 1235.50 & 1227.00 as targets. Comment: a support base at 1244.00 has formed and has allowed for a temporary stabilisation. 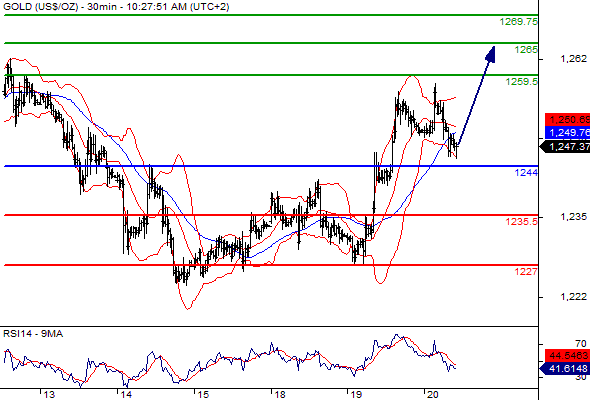 Crude Oil (WTI) (K6) Intraday: rebound in sight. Most Likely Scenario: long positions above 39.50 with targets @ 40.76 & 41.54 in extension. Alternative scenario: below 39.50 look for further downside with 38.44 & 37.60 as targets.